I have worked with J nandha and his team many times over the years. They are always professional and have the latest equipment such to produce amazing videos. They shot a film of my performance at an Asian wedding which I was so happy with and I have used on my website and with agencies for many years. Thanks J Nandha! Jay came to our twin daughters' birthday party to snap away and allow us to host and welcome the guests. He was superb at taking natural shots and also getting the children to pose and take some lovely pictures. We worked with J to get a time lapse recently, he made a beautiful video with two different edits and was happy to make any changes. He worked quickly and professionally. Would definitely use again. Jay came and took photo’s of Inner Beauty Salon. He really captured the ambiance of the salon and fabulous representation of the business. I’ve had so many comments about the photos. He was so helpful, attentive and a joy to work with. Jay is a highly professional, experienced and friendly photographer. He was always more then helpful to answer any of our questions and very prompt when getting back to us. We were very happy with our wedding video highlight which perfectly summarised our wedding. The photo story books are of extremely high quality and are crystal clear. Jay gave us so many options when choosing the type of storybook and casing. We received our video on a USB stick which was convenient to put straight into the TV. In the day of the events Jay was very polite to all of our guests and also appropriately dressed and helped to arrange the photographs to gain the best outcome. He was very good at spotting when natural shots and pose shots would be best and always gave us his honest opinion and advice. The storybook and video arrived in a very short amount of time. I would highly recommend Jay Nandha and his team for any professional photography and videography needs. You will not be let down and he goes beyond expectations. Thank you for capturing our wedding perfectly. Following recommendations from friends and family, we first booked Jay for our civil wedding and engagement photography in Sept 2016 and were so impressed with the stunning photos that we decided to book him for our destination wedding in Goa April 2017. We had initially planned to hire a photographer and videographer local to the area, but after seeing Jay's pictures, we knew we had to work with him in Goa. As two people who are known to be camera shy, Jay took the time to get to know us and was able to bring us out of our comfort zone to get the very best pictures. He was always keen to try something new and innovative to make our photography and video stand out from the crowd and welcomed all suggestions from us. We were amazed at how quickly Jay turned the video and photography around and the level of detail that went into perfecting the final products. We spent almost 12 hours with Jay finalising our wedding video (purely because we had so many events to get through!) and were able to pick the songs we wanted and where we wanted to place them as well as take part in the final editing process. Jay is incredibly sincere and humble in everything he does and goes above and beyond to get the best shots. Despite the long hours and challenges we encountered whilst in Goa, Jay and his team worked tirelessly to capture amazing content, always with a smile on their faces. We could not thank Jay, Bhavin and Deven enough – it has been a truly amazing experience. Our family and friends are overjoyed with the final product and none of us would hesitate to recommend Jay to capture your special event. 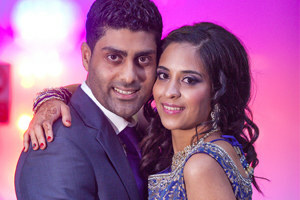 Firstly me and Ritesh would like to say a massive thank you for all your hard work creating our wedding and reception video. You all managed to capture all the important moments throughout all events and were very creative while doing so. Since I met Jay, he explained everything to me to a professional standard and still making me feel at ease, He kept in touch with me throughout the buildup to the wedding and after until our video was ready for collection which was under 3 months after the wedding. Our wedding highlights were truly amazing and have had many compliments on such a well thought out and creative preview, making us more excited to see the whole video. The video blu-rays was excellent and more than what we could of wished for. During the wedding and reception it was as though Jay and his team fitted in well with all our family and friends which added an extra personal touch. We would recommend Jay and his team to all our family and friends, you are truly talented in what you do and it shows in your passion towards your work. We thank you again and hopefully see you a lot more in the future at our friends wedding. I have wanted to write this testimonial for a long time. Having Jay Nandha as your wedding photographer and videographer is like having your own brother working behind the scenes capturing your special day. Jay is the most sincere, down to earth and professional photographer you could ask for. He worked tirelessly before, during and after our events to ensure we were able to take home a final storybook and DVD that was better than I could have hoped for. During our pre-wedding shoot Jay spent hours longer than we had agreed to ensure we had captured every pose, every setting, every outfit and every prop that we wanted to use. Even though it was freezing cold (a December wedding!) we spent all morning and evening in several different locations taking so many different pictures, with Jay making more suggestions and offering new ideas to the ones I already had in mind. In the run up to the wedding events Jay was always on hand giving advice with wedding and photo ideas, asking for our itinerary etc so that we were all prepared for the big day. He made a big effort to get to know all of our close family and friends so that he was able to focus on them when it mattered. He even had a few surprises of his own and after our civil ceremony, when we thought the day was over, Jay took me and my husband to another location to take some amazing night shots in the snow and these are in fact my most favourite photos! Jay spent hours after the wedding, both with and without us, editing our videos and photos. We thought that a couple of hours on a Sunday morning would be enough to finalise our video (after all, he had already edited it all) but this in fact turned into 8 hours sitting with Jay making small changes here and there, adding music that was sentimental to us etc to make our DVD fabulous!! He was so patient, listened to all my ideas, implemented what he thought would work and advised me correctly where he thought it wouldn't. To give an idea on timescale, my husband and I were married in December, had our video highlights by February, full DVD by April, and our storybook by June! I could have had it sooner but I couldn't decide which pictures I wanted! I cannot thank you enough Jay for everything you did and the once in a lifetime memories you captured for us. I was able to relax and enjoy my wedding knowing that I could trust you to go the extra mile to make sure nothing and no one was forgotten or ignored. If you are looking for the best for your own event, Jay Nandha is extremely talented, skilled person and passionate about his work. On top of that, he is so friendly, knowledgeable and will make you feel at ease from your first meeting. His work is meticulous. Do not hesitate to book with him. We are so lucky to have had you with us. and videography. We were delighted to be able to share our photos, highlight video and wedding video with our families so soon after our special day. Jay's creative talent is visible in all the footage that he and his team took. We particularly liked the skilful way in which the highlight and wedding video captures the key moments of our registry, marriage ceremony and reception. The overall professionalism and attention to detail at the post-production stage was of the highest quality. Working with Jay has been a pleasure. We look forward to partnering with him on many more events in the future. fantastic! You made not only us, but also our guests feel so at ease……you blended in so well and you felt like a family member – so much so that you had to put up with us chanting “saaaay Jay Nandha!” throughout the day.It’s one thing to take a photograph, but a different thing to capture a moment; you managed to capture all the emotions and those little moments we missed on the day so well through your camera lens, from the laughter to the tears to the crazy dance moves! Moments we will be able to reflect back on (and re-live) in years to come. You truly are a talent and we would recommend you to our family and friends without a second thought…..or anyone else looking for a wedding photographer/videographer for that matter! Not only a talented and passionate photographer, but a genuine and humble guy who would go the extra mile for you without hesitation - not sure there’s many photographer/videographers out there that would sit with you all evening to edit your video. Thank you once again for all your hard work, Jay - we genuinely couldn’t have asked for anything more!Hopefully, see you at the next family wedding. We are absolutely thrilled with our wedding photos. Jay and his team has managed to capture our wedding exactly as we had hoped. Thank you so much for all your hard work and for creating some stunning photographs. All the very best and we’ll be highly recommending you guys to all our friends and family so hopefully we will see you again. Jay and his Team were amazing to work with. Let's face it: pre- shoots/wedding shoots can be a little awkward (look at each other- no, look again!) but Jay and his Team will put you at ease, and make it fun. All our family members were very impressed by their professionalism and talent. Jay has the ability to capture your special moments in the most unique way, always open to ideas and suggestions too. If you are looking for a simple photographer then Jay is not the one for you. However, if you are looking for a creative, outgoing, unique photographer & cinematographer who will provide you with the most beautifully extraordinarily finished article, then Jay is your man. He will leave you staring at your photos and watching the blu-rays for hours wondering how you can possibly look that good! The best word of advice we can give you when working with the JNandha team is to trust them, they know what they are doing. You may feel as though you are outside of your comfort zone, but it will always result in the most amazing shots! Our last piece of advice: seriously book this team! We got our wedding album and blu-rays not long ago and we couldn't be happier with the quality of work and high standard of finish. Our families are so thrilled with Jay's work. 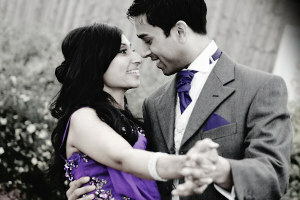 The JNandha team were definitely our most favourite wedding vendors to work with. If you are looking for the best, make sure you book with JNandha, you will not be disappointed! JNandha and Team have our highest recommendations. Myself and Rajal would like to say a massive thank to you and to your team for your professionalism and for capturing our wedding through your own innovative way! We loved working along side you and you made us both feel so relaxed and happy on the day. Upon our first meeting and every bit of contact we had with you both prior and after our events you always gave us so much confidence that you will deliver an exceptional service. We absolutely love our cinematic highlights you created and all our friends and family across the world have commented how amazing it is! Not to mention how great our final movie has turned out. We are so proud of our final edited blu ray. Congratulations and well done. I will be recommending all my friends to use your services in the future! Ever since we have met jay and his company j Nandha we have had a pleasant experience. He and his team have worked incredibly hard on our wedding day and reception party to capture joyful moment with family and friends. Everyone that has seen our highlight video has enjoyed it thoroughly, I personally can't stop watching it again and again. J nandha has captured all the important moments with beauty and attention to details. All the photography and videography, me and my husband will treasure for a lifetime of our special day. 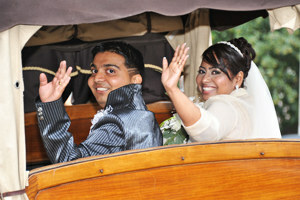 Jay was extremely professional and has gone the extra mile to have all the work completed very soon after the wedding. Which was a blessing as the family was very excited to see the pictures and video. He also went out of his way to post a blu-ray dvd of our wedding in a American format to work at our home in phoenix. For me this shows how much they do in order to keep a smile on their clients face. Me and nirmal are thankful to have j nandha for all their hard work and definitely the best people to have to capture your special day. Thank you for capturing the most memorable day for us! Jay and his team were warm approachable and understanding which made our day so relaxed and chilled out!! Their approach to making and producing a wedding video was so professional they really knows his stuff. The final outcome was a beautifully shot video that represented myself and my husbands personalities and our big day perfectly! We wanted to say a big thank you to you for your amazing work. I knew I wanted you to capture my special moments from the minute I looked at your website and seen the beautiful images. You made us feel so relaxed at the pre wedding shoot and you continued to be both patient and delightful throughout my wedding. I can honestly say through the chaos you managed to capture the most amazing images of me and my loved ones. We love both our storybook and DVD and couldn’t have asked for anything more. I will be recommending you to family members and friend and hope to see you soon. Thank you J Nandha for capturing our day beautifully on video. We couldn't have asked for anything better. The final film is of an amazing quality and every time we watch our highlights it makes us smile. You have managed to catch some lovely moments with our friends and family and seeing their smiling faces on film brings back all the emotions, happiness and excitement of the day. You and your team were fantastic. Our only regret is not hiring you for our registry too. Ever since we stumbled across your website , we have felt that you would be the only photographer we would trust with our own wedding because you have a unique ability to make every wedding look special and your friendly approach made us feel comfortable to be surrounded by you and your team .. So we are immensely happy with the work you have delivered to us. You have captured the day and elevated it into a series of images and videos that have drawn enthusiastic compliments from all our family and friends who we have shown them to. We especially like the way that you made an undistinguished highlight video of the best moments of the day. Not to mention that you make us, two ordinary people, look and feel like honoured celebrities. We will have many fond memories just looking back at these pictures and videos in future years. Having you as our wedding photographer was truly an honour and a treat.You have not only been professional in your work but also have been the good friend on that day .... We will not forget the guidance, support and advice you so generously provided us in the run up to the wedding .Thank you so much for making our wedding day such an electrifying occassion and bestowing us with such beautiful keepsakes. We will always cherish it. Myself and Vijay would just like to say a big thank you to you and your team for making our wedding day special. Jay was recommended to me from someone who had used him for his wedding day. I spoke to Jay and booked him straight away. Even though I had never met Jay I was very confident that he would do an excellent job. On the day we met Jay and straight away we felt comfortable. He spent the whole day with us to the very end and we were both looking forward to seeing the final piece. All I can say is WOW!!! It was brilliant and captured every moment just the way we wanted it too, the highlight video was brilliant. Friends and family have commented what a good job Jay has done. I would recommend Jay and his team to everyone. He has great experience and skills!! Thank you Jay once again. From the moment we met Jay Nandha, we were so impressed by the quality of his work, his professionalism and his great knowledge of photography that we had to buy his service. He was very accommodating to our needs and discussed different options around compilations of our highlight video, wedding video and storybook. The whole process has been easy with Jay. On the days of our civil and Indian wedding ceremony Jay and his team were taking background snapshots of the whole day, when we got see our photos and video, he had encompassed every memorable moment of the civil and Indian wedding, the video and photos were absolutely beautiful and priceless. Jay and his team are almost invisible in capturing the details and has a great artistic flair. We have only praise for the way he has handled every level of the shoot to the storybook print process. We just want to say a huge thank you for our beautiful memory you have captured in so many heights, you have done a fantastic and amazing job throughout. We would highly recommend Jay Nandha and team to anyone who would require his services. 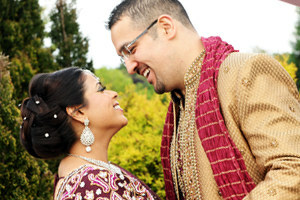 Jay Nandha was our chosen photographer and videographer for our pre-shoot and wedding reception. Words cannot express highly enough of Jay and his team. We believe that in choosing Jay Nandha and his team to capture our special moment was the right decision from start to finish. Jay Nandha and his team captured the essence of the day with a beautiful mix of natural shots and artistic ingenuity. Not only does Jay Nandha embody high professionalism in everything he does but he and his team also add an extra personal touch in every step from creating to printing the shot. He and his team gave us an amazing collage of pictures and a fantastic video of our big moment that we shall treasure for eternity. The decision to choose Jay Nandha was the right person. We cannot thank him enough for a job well done. His team blended in well during the event and at the end of it created a work of art from some amazing pictures from the pre-shoot , to a fantastic videography and finally an album of the main event which we believe to be of the highest quality. We would definitely recommend using Jay Nandha from the very small intricate event to the grandest of spectacles as we believe he and his team would do a brilliant job that would exceed all expectations. We definitely would utilise Jay Nandha in the near future. For those of you looking to hire Jay and are hesitant, don't be! 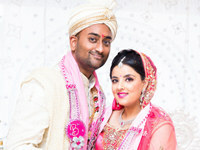 From our pre-wedding photoshoot right through to our hindu wedding and civil ceremony Jay captured our memories in an elegant and creative manner. Our reservations of ensuring we picked the right photographer and videographer were quickly diminished when we first worked with Jay on our pre-wedding shoot in what was one of the coldest winters on record. Trust me trying to smile in minus conditions was the easy part, we couldn't feel our hands so we don't know how Jay managed to get such amazing shots when even holding a camera was hard in the harsh weather conditions. Throughout our 800+ guest hindu wedding and in the hustle and bustle of it all Jay remained very professional and dedicated, he made us feel relaxed and not as though a camera was in your face. Jay's attention to detail and creativity can be seen throughout in our preshoot using black and white photos, a touch of traditionalism in the hindu wedding and a modern flair on our civil day. The high quality of work is not compromised by the competitive package provided and is evident in the wedding album and DVDs. Jay is meticulous, his flexibility, passion for his work and eagerness to achieve the best results was witnessed by us when we to his home to edit our wedding album and DVDs. Jay was most accommodating in meeting our expectations and helped us pick songs, design layouts for the album and movie clips for the wedding highlight. He lets you put as much or as little input in without compromising the end result which is why he is so versatile. From even before the pre-wedding shoot,jay was professional, friendly and put us both at ease. He captured photos that were so natural and of such great quality that we never could have imagined that our photo album could have turned out so great. Even the highlight video was made to look so professional and captured every moment of the overall wedding, even a year and a half one people are still talking about how they can't stop watching it over and over. The clarity of the video and the photos and the skill that jay has are well above the many videographers we saw before the wedding. we are both so glad that we chose jay to capture our special day. Having captured my sister's wedding so beautifully just 8 months prior to ours, we knew there was only going be 1 choice for our wedding ceremonies....only Jay Nandha! From the very first meeting our minds were at ease. During the stress of organising weddings it is so important to have someone reliable, efficient, punctual and calm to work with and it has been a pleasure working with Jay. He truly goes above and beyond your expectations. Not only are his photography and videography breathtaking and original, he also has plenty of people skills and is able to bring out the best in you along with friends and family. Jay is a true talent with such unique creativity, he brings every moment to life with his shots with huge originality. Jay has captured our wedding and reception so magically and we are forever grateful for his hard work and input into enabling us to have such beautiful memories for life. ‘Having been referred to Jay Nandha by a friend I decided to see his work and decide whether he was the right choice for my wedding. I have to say that having seen how professional he is, not only with his work but with his customers; me and my husband made the decision to hire him! I have to say that from the pre-wedding shoot to the wedding reception our whole event was magically captured by Jay and words cannot describe how much I appreciated his work and support during the wedding! 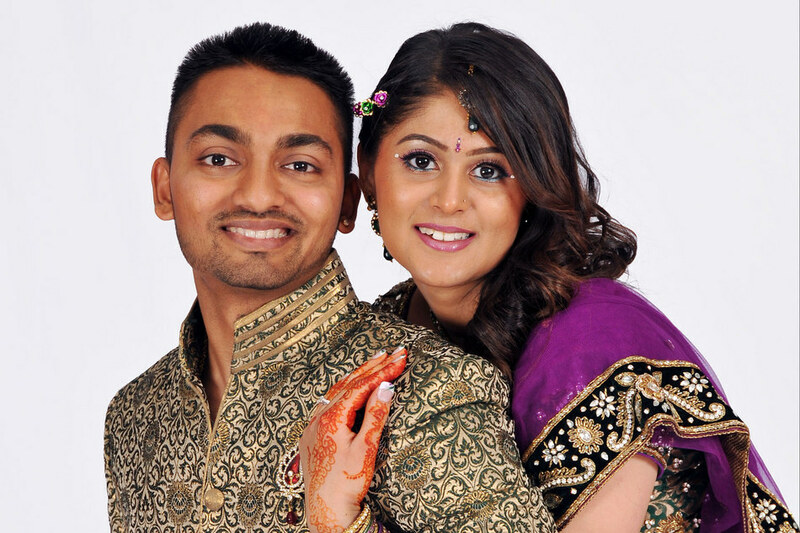 "We used J Nandha for our Engagement and Wedding day and are really happy with the results. We have a beautiful album and a fabulous Blu Ray as a reminder of our special days. He's very easy to work with and actually pulls out all the stops to make sure he can give you everything you want. One thing I loved about working with Jay, being a bridezilla, he always replied to my emails promptly nearly every time within the hour if not by the end of the day! He was great on the days allowing other guests to take pictures too.. Would definitely recommend his services!" Having the right photographer for our big day was one of the most important choices for us to make. There are so many wedding photographers/ videographers offering tempting deals and packages making it even more difficult to choose. We saw many photographers but after meeting Jay for the first time we knew that he was the ideal one for us. His work is creative, professional and of an exceptional standard which is evident from looking at his website. However it is not only the photography but also his personality that is outstanding. 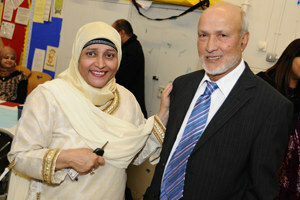 He worked extremely well with all family and friends and created a fun and relaxed environment at what could be a stressful time. Jay is very reliable and efficient. He delivered all his work on time as promised without any hassle and kept us informed at each stage of the process. We would highly recommend Jay and his team to any couple looking for a photographer/videographer. We were so impressed with his creativity, attention to detail and his high quality art work in every photo. Thanks to Jay and his team we have so many beautiful photos and videos to relive our perfect day. 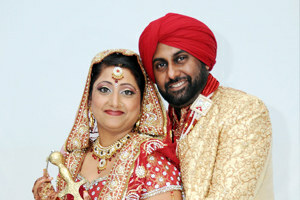 Jay Nandha has provided us with a fabulous service for our wedding pictures! He has been very efficient and prompt. The service is amazing and Jay was available whenever we needed him be it 7 in the morning or 12 at night! Jay has been very friendly and we are glad we picked him as our wedding photographer! All are friends and family love the pictures and video and we definitely recommend him to anyone looking for a great photographer! Thank you so much Jay for all your help! Deciding to use Jay Nandha for our wedding was the best decision we made. After looking at many websites, Jay’s was one of those that really stood out for us so we arranged to meet him first. Although it wasn’t the cheapest price we were quoted, the style and direction of the images really impressed us and we decided to make the booking without meeting anyone else- every penny was worth it. Not only is the quality of Jay’s photography very high, he excels in his customer service and makes sure he does everything he can to please you – even if it is something you might not have otherwise noticed yourself. His attention to detail, reliability, flexibility and manner is fantastic. He always kept us up to date and was easy to get hold of, quick to respond and made sure we had our photos and videos quickly after the wedding. Everyone who has seen them since has been equally impressed with the quality. We would highly recommend him and his team, as you can see by the quality of photos on his website, his work is to a very high standard and can’t imagine anyone would be disappointed and we would book him again without any hesitation. They say that getting the right photographer for your wedding is one of the most important things to get right. Fortunately for our wedding, we got it spot-on and we could not have asked for a better photographer than Jay. and always willing to accommodate our needs for our wedding day photography and the wedding album. 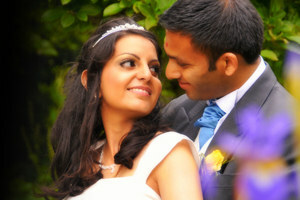 Jay’s photography on our wedding day was excellent and he captured every aspect of the day brilliantly in the photos. The photos really brought out the colours, beauty, and enjoyment of the day. He delivered a very professional service that was of the highest standard throughout the entire day which all of our guests commented on at our wedding. The wedding album and DVD was beautifully designed and of the highest quality. 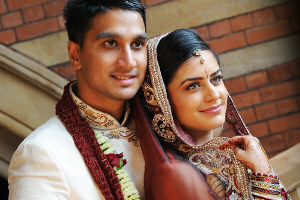 We were absolutely delighted with the pictures and we had so many to choose from and so Jay’s recommendations helped. The quality of his work speaks for itself… We would highly recommend Jay to friends and family. Jay has been absolutely fantastic and a pleasure to work with.Throughout the whole process Jay has been professional, considerate, flexible and approachable. He has delivered all of his work on time, as agreed, and been eager to ensure we are happy with the end product. Being involved with the editing process for the video was fantastic, allowing us to give our own unique twist to the wedding video. We would highly recommend Jay as a professional video and photographer, and have been more than impressed by the superb wedding video he has delivered. Trina and I knew immediately that we'd have excellent wedding photos and video after we decided to go with you for our photography and videographer. We found your work to be contemporary and stylish, whilst still being appreciative of the traditional aspects of the wedding. Your team of videographers and photographers were all brilliant and got on well with our families. We are so happy with our images and video. 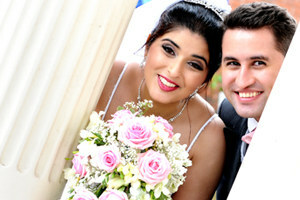 Not only are they beautiful shots, they capture the essence and atmosphere of our special days brilliantly. Our wedding meant so much to us, having incredible images to look back on is the perfect way of reliving the amazing memories we created. Our family and friends were very impressed using Jnandha, not only with your images, but with your professional attitude and ability to deliver exactly what we were looking for. We would confidently recommend Jnandha to anyone looking for a photographer and Videographer, we believe the quality of your work speaks for itself. Thanks once again for your service and hope to bump into you again in the near future. 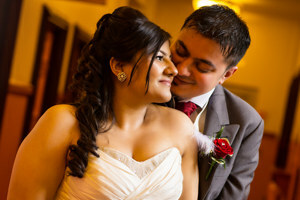 "We just wanted to say that we are extremely pleased to have had Jay take our wedding photos. He was a lot of fun and easy to work with and definitely brought out the best in us during our photo sessions. We really appreciate the high level of service we received, his professionalism and most of all his artistic talent. Thanks again for taking so many phenomenal photos! We could not have asked for anything more!" We would love to thank Jay and his team for capturing every moment of our special day in the most magical beautiful way, we were blown away with his work! Throughout there was absolute professionalism, excellent communication and a fun relaxed approach to their work. Jay is a very creative person and this shows through in his work. We were kept involved throughout the process and they delivered as per the brief, whilst ensuring that we could still enjoy our big day. The highlights video is definitely a bonus and great addition to the overall package. We would definitely recommend Jay and his team and we will use their services again without a shadow of a doubt. Thank you once again for delivering beyond expectation. Jay and his team were simply amazing! 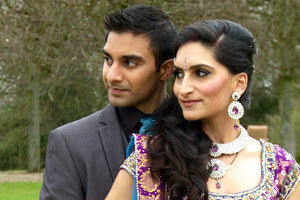 Me and Leena looked at so many photographers for our wedding but knew we had found the right person when we met Jay! His guidance and advice helped us immensely and the photos and videos were perfect! We can cherish our memories in style with our amazing albums and videos. We can even share the highlights of our wedding with our relatives abroad with the live streaming video Jay provided to allow watching the video on the internet. We would highly recommend him and his team! Jay helped us achieve the most amazing memories for our wedding. He was unobtrusive and just blended in with our families, he made the effort to get to know the key members of our family so we weren't bogged down with details on the day. The video was AMAZING!!!!! He captured the most perfect highlights and even made a video of my childhood pictures which was beautiful! The albums were so magical, it made me want to do the whole thing over again. They were crystal clear and well set in the albums. It was a magical day for us, and jay captured the essence of it perfectly. Jay was very friendly and we felt absolutely comfortable to meet him several times before and after the wedding. We will certainly be recommending you to our friends and family. A big thank you for producing and capturing our special memories! Photography has always been one of the most important aspects of the big day. However when it finally came to my big day, no one else came to mind apart from Jay. I knew he would be able to capture every precious moment and produce a beautiful album. On the day, he was very helpful, kept us calm and encouraged us to keep smiling. Your talent is very much admired by our family, and we look forward to working with you again real soon. Wow, love my wedding video. I'm so glad that I went for wedding videography. It was a last minute decision. Jay Nandha was recommended to me by family, and despite having done a lot of research with other videographers, I booked Jay after one just conversation without having even met him. His work spoke for itself. He was on time on the day despite having to travel so far, and managed to involve all the key guests without having any prior knowledge of them. After the event we met Jay to for an 'editing session' which was great fun. You could see the generations of experience in the quality and speed of the final version that he produced with us. Thank you so much for capturing the whole event as well as all the little details so that my family and I can re-live the day every time we watch it; makes us smile every time. I would definitely recommend Jay Nandha Videography. A very big thank you to Jay and his fantastic team for making our big day so memorable. Myself and my wife looked at practically every photographer around and as soon as we saw jay’s work we were so amazed at the quality. The whole team is very friendly, professional, always available to help and made the whole process very easy and most importantly enjoyable. Not only did they do an excellent job but also made a big effort to get involved. The quality of work is outstanding and extremely impressive. Our album is exactly how we wanted it to be designed and was personally tailored to our desire. All the pictures taken were breathtaking and very imaginative. Having the pictures available on line made the selection process so much easier and Jay’s response was next to none. The DVD footage from our wedding and reception is of extremely high quality and captures every special moment. We have shown the photos and the video to our friends and families and they all thought it was fantastic. We would definitely use Jay and his team again for future occasions. 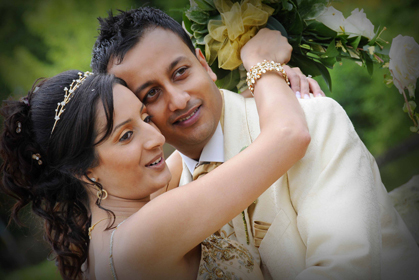 We believe the memories of your big day are paramount, which is exactly why we chose J Nandha. 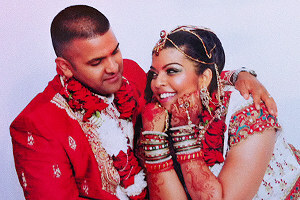 We definitely recommend J Nandha and his team for your special day. Once again thank you so much Jay and keep up the great work. 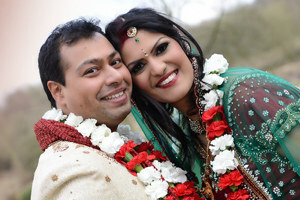 "My wife and I were so pleased with our Sanjee DVD & Photos. Jay captured all the right moments of the day. It was great to get to see the things that I missed that day and have them on video forever. Jay and Jay's team did a great job, were professional, and came with tons of ideas. We are so thankful to Jay Nandha for capturing those memories." It is my pleasure to write a little testimonial for you as you have been so good. I will have no hesitation in recommending you to friends. Do pass my name and e-mail if anybody wants a reference. I am sure you will go a long way with your business as you have the right attitude! 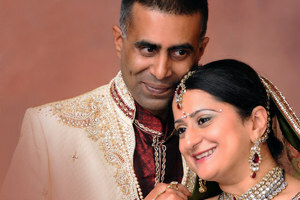 We chose Jay Nandha for our wedding because he got great knowledge and understanding what we need. His a amazing photography and videography. We recommend your work to our family friends and colleagues, Because his very quick service with getting picture loaded an getting the DVDs copied. Thank you very very much for your service an looking forward for your service again and my family member did like your service as well. 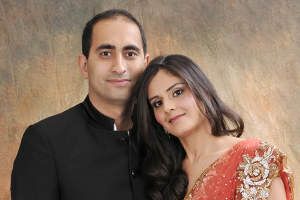 My wife and I came across J Nandha Photo and Video Ltd at a small wedding fare in Leicester. Immediately we were impressed by their photo album and DVD video presentation and quality. Having seen the work of many other photographers and videographers (and having received many quotes!) we knew quite soon that J Nandha would be the option we'd finally go with. It also helped that they provide all inclusive services of photo and video combined reducing a lot of stress during wedding planning. In the end we received a level of service beyond what we expected. On the days the team were not only there to take photos and videos but they became part of the party, gave us advice and helped keep us calm. And of course, they took some great snaps and video footage! In the end their post production (creative touches, designs, editing and final product) was what really impressed us. We managed to combine both a traditional and contemporary feel to our photo album and DVDs which is exactly what we wanted. All in all we'd recommend J Nandha to anyone and with confidence.
" Thanks you Jay for capturing our big day and making sure it stay memorable. you have a great team who added a lot of value to the function and were always more then happy to go that bit further. I will be recommending you to all friends and family members for any function they may be having. Everyone loved the pictures and video, plus having them online is very usefull. Many many Thanks. "Photos taken were amazing and captured the right moments, which we will cherish for life. The service, communication and interaction was polite and tolerant... We would most definitely recommend your work to our family friends and colleagues." 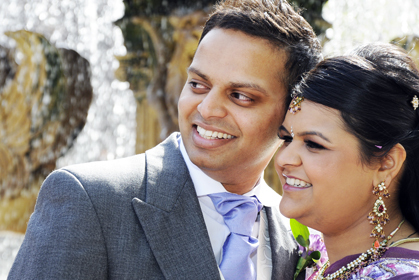 "After looking at many photographers we chose Jay Nandha for our wedding as we felt he best met our needs. He understood straight away what we wanted from our photos and video; ‘traditional but with a modern twist’. Jay always captured the right moments and provided a relaxed atmosphere. His amazing photography and videography leave us speechless every time we view the results. They bring back all the emotions of the big day. Thank you very much Jay and Co."